Parkland, Pulse Nightclub, the Sutherland Springs Baptist Church massacre. 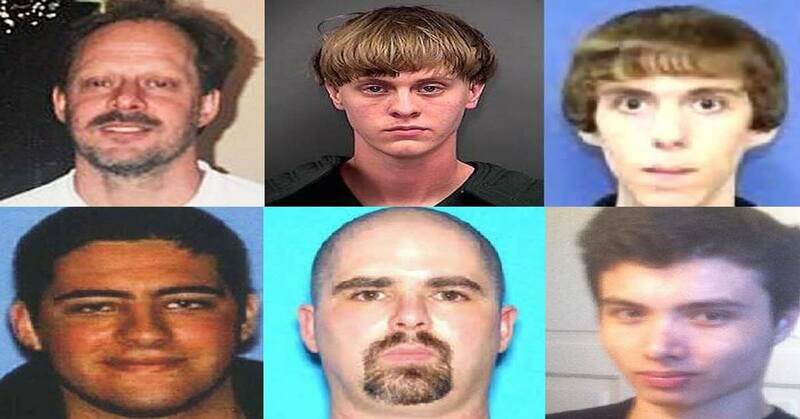 The assailants who carried out the horrific shootings all had a history of mental illness and mixed with the access to high powered firearms, resulted in the death of nearly 150 innocent people. While the nation continues to argue gun control and the underlying mental health issues of dangerous people and the lack of healthcare access to combat it, numbers don’t lie. The analysis was provided by the Secret Service’s National Threat Assessment Center, who had been working on the report for months before the most recent Parkland shooting on February 14th, that once again sparked debate that brought up the untreated mentally ill and the ease of access to automatic firearms. In the report, authorities found that 64% if suspects displayed symptoms of mental illness, and 25% of the cases studied, the attackers had been previously “hospitalized or prescribed psychiatric medications” before the strikes occurred. In the most blatant example of professional negligence, Devin Kelley’s disturbing attack on a Texas church could have never happened had someone flagged him for his sinister behavior and criminal past that included accusations of assault, domestic violence, stalking and battery on a minor. He had even escaped a mental hospital in 2012 after he had made death threats against his superior officers in the Air Force. But because the Air Force failed to enter the domestic violence charge into the national database, the seller was never alerted that Kelley was ineligible to own a firearm under the 1996 Lautenberg Amendment, which bars anyone convicted of domestic violence, including misdemeanors, from access to guns. Instead Devin Kelley was able to purchase the Luger AR-556 rifle he used in the shooting at the First Baptist Church in Sutherland Spings, Texas, dubbed the worst mass shooting in the state’s history, where 26 people were killed and left 20 more wounded. The report included the Sutherland Springs church shooting, along with one additional church massacres and four school attacks plus 13 assaults that took places of business. The similarities went on to show more distressing connections. 23 of the assailants used a firearm and 10 possessed them illegally; the other attacks were by vehicle (3) and knife (2). 82% showed signs of “aggressive narcissism” and 79% engaged in threatening or concerning communications or conduct beforehand. 71% had a criminal history, 64% had a history of violence, a third had a history of domestic violence, and more than half had a history of drug or substance abuse. 46% were motivated by a personal grievance, while 21% of attacks were ideologically or racially motivated. Mental health symptoms such as paranoia and delusions were a factor in the motive for 14% of attacks. The similarities between assailants show authorities are right to investigate a person’s background, behaviors, and risk factors for violence, and identify “intervention points to mitigate that risk,” the report concludes.